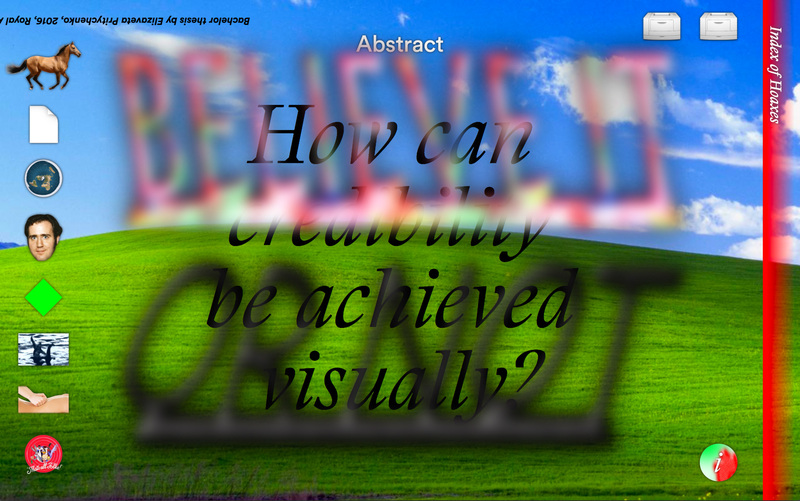 A: This is my bachelor thesis, and in this case the design of the website conceptually had to be related to the text. I was writing thesis about hoaxes and visual credibility, and how design can basically trick people, and wanted to show the fun and playful side of it, and to confuse people a little. Brutalism seemed to be the right aesthetic to do so.